The UK and other EU countries are concerned to deliver secure, sustainable and affordable electricity, to meet challenging targets for decarbonisation and renewable energy. The UK Government has consulted and concluded that the present electricity market arrangements will not deliver all three goals, and has proposed a major Electricity Market Reform (EMR). This article describes the reasons for, and the nature of, the EMR, pointing to the need for further market and institutional reforms. 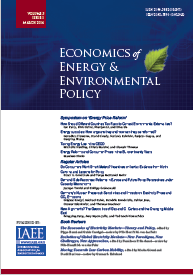 Published in Volume 1, Number 1 of The Quarterly Journal of the IAEE's Energy Economics Education Foundation.